Introducing Random Identities, the first independent venture from designer Stefano Pilati. Random stands for the randomness of existence. Identities stands as a response to that randomness. The two terms define the space where people can identify, with confidence, the new codes indicative of the gender shift. 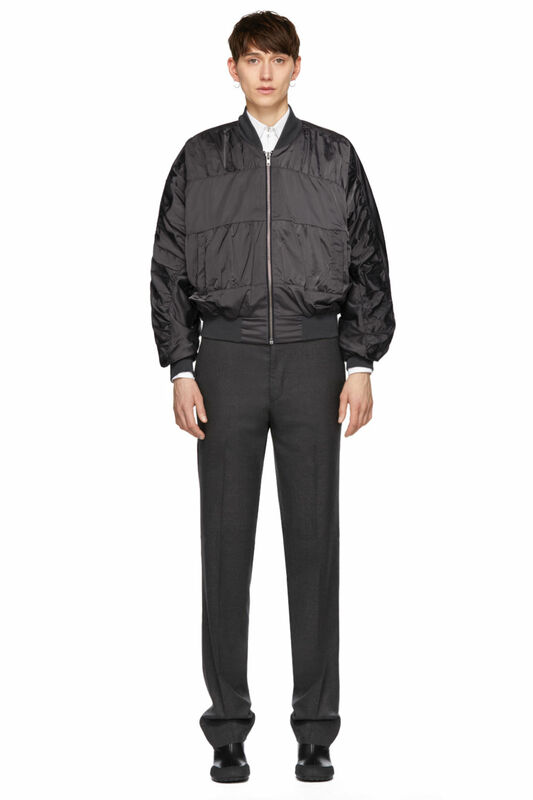 Long sleeve panelled satin bomber jacket in black with ruched detailing throughout. Rib knit stand collar, cuffs, and hem.